Hire dedicated React Native developers from Let’s Nurture, a leading offshore React Native application development company in India to build visually stunning, robust, scalable and engaging cross-platform applications on hourly or full time basis. React Native is the latest hybrid app development technology. The React Native developers at Let’s Nurture have ample experience in React Native app development providing many successful React Native apps to our happy clients. React Native is a framework which uses react library to build interactive user interface, swift navigation and rapid mobile cross platform mobile app development. React Native is a framework which is introduced by facebook and thus have a great developer support community. Our React Native developers at Let’s Nurture are very well versed with all the important React Native libraries which are continuously used in the React Native applications development thus providing the best solution in less time. We offer onsite staffing services for React Native developers to clients and companies within the same geographical border to fill gaps in development cycle by frequent onsite visits or full-time presence at your place. 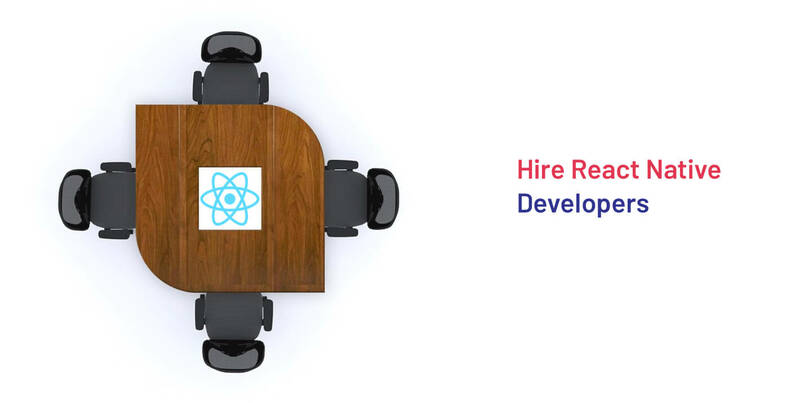 We provide React Native developers staffing services for countries like US, Canada, India, Singapore and Middle East for regular review meetings, system deployment or ongoing IT project development. Hire React Native developers to bring them at our offshore development center (ODC). We have client-oriented process in which our project managers will keep you in loop in communication channels with on-time reporting. Let’s Nurture is a trustworthy React Native app development company renowned for innovative solutions we bring to Android and iOS platforms. With the introduction of React Native, which is a revolution in itself, we have started to gain name and fame in this new field having provided many successful apps to our global clientele. You can have platform-specific UI design i.e different layout for both android and iOS. Live reload is a new and unique feature which helps us to see the changes instantaneously. You have to manage only one code structure to build applications on different platforms. The performance of react native is superbly high and it produces the same feel as native apps. Walmart, Bloomberg, Airbnb, Facebook, Instagram and other big brands utilize React Native advantages. It has one of the best customers support and flexibility in use as it is built by the team of facebook. Why to Hire React Native Developers from Let’s Nurture? React Native developers possess professional experience in working with the latest technologies and keep themselves updated with the upcoming versions to provide an app that is compatible with all the latest devices and latest Android Pi and iOS 12. You will interview every dedicated React Native developer you hire. Our flexible engagement models will give you authority to get new apps developed in less time with quick team scaling. We provide end-to-end React Native app development services regarding consulting, strategic development and UI/UX design, React Native app testing, delivery and deployment. Have an awesome idea? Hire React Native developers to convert into a stunning React Native app!! Would I have the complete control over React Native project development cycle if I hire a React Native development developer from you? What if I am not satisfied with the dedicated React Native developer performance? Will you replace?